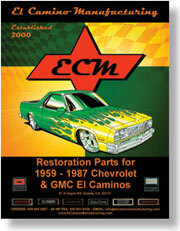 This high quality reproduction amber front turn & park lens fits all 1973 El Camino Chevelles. Installs in the front bumper. Includes the correct SAE and Guide lettering as original. Right and left are the same, requires two per vehicle. 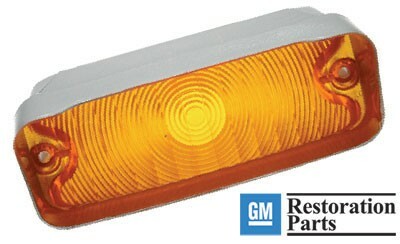 Officially licensed by General Motors.